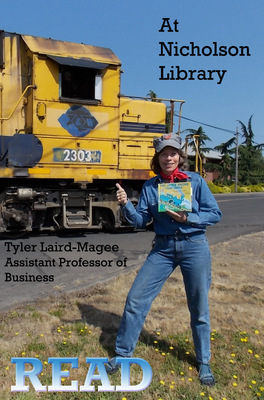 Tyler Laird-Magee, Assistant Professor of Business, reading The Little Engine That Could, by Watty Piper. Terry, Paula and Nicholson Library Staff, "Tyler Laird-Magee READ Poster" (2012). READ Poster Gallery. Image. Submission 101.